CGDI Prog BMW MSV80 key programmer activation newest policy: All users don’t need to active the machine by themselves. 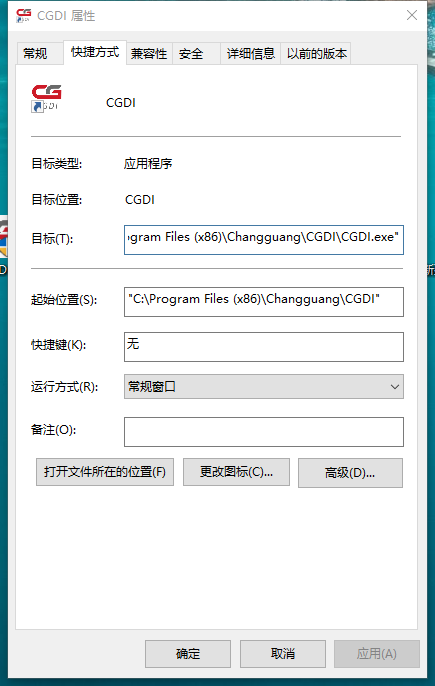 After receiving the unit, you install it on the computer and you will see the device displays “Device activation time remaining 30 days” because the CGDI Pro engineer already help you active in advance, hoping you won’t feel frustrated in the beginning of using the machine. Then, when you see the machine displays “Device activation time remaining 0 days”, don’t worry, please click on the “Settings ” icon, then ” Check for updates” shown in the following image, then you will see you have 30 days activation, don’t you think it is easier? Now to tell all of your friends this good news, share with them it is much easier to use CGDI Prog BMW key programmer. 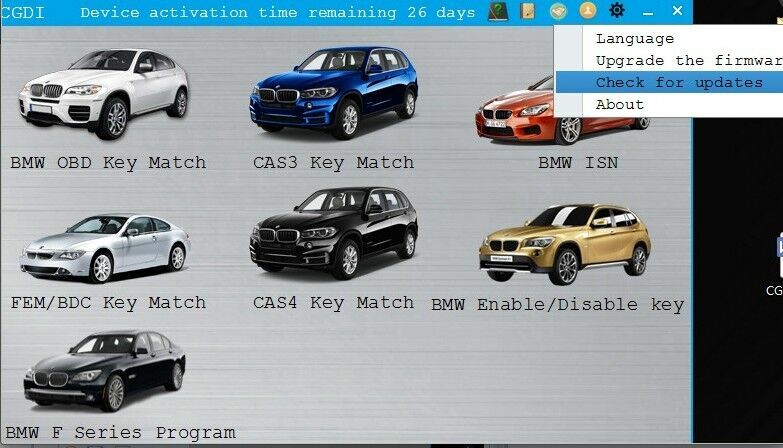 2 How CGDI Prog Programs key on BMW MSV80 CAS4/CAS 4+ all key lost?